There are buyers out there who feel obligated to use a particular real estate agent. Maybe its a friend, maybe it's a relative or maybe an acquaintance that has talked to you about RE in the past. You feel like you have to use them and may feel trapped by a specific agent. This is not the time or place for guilt. How do I know? Buyers tell me. Just in the past couple of weeks, two callers asked me about properties. When asked if they had a buyer's agent, the responses were disturbing. They "sort of" have an agent, don't feel he/she is looking out for them. The agent does want a sale. The buyers are told 'when you find something you like, you call me'. One agent had not gotten back to this buyer for several weeks...not even when, what could have been a perfect house, was listed with this agent's office. By the time the buyer found it through an open house, it was already under contract! Buyers, your job to not to make the real estate agent feel good or to give them business because they 'need' the sale. You have a choice to choose an agent that is looking out for your interests, getting you the best house, the best deal, the best inspectors, lenders, title attorney, and anything else that you need for a smooth transaction. Looking for your new home should be a fun and exciting experience. Your job is not to worry about the agent. Good morning Margaret Rome, Baltimore Maryland - that statement "When you find a house call me." is very telling. At that point why bother. Friendships can cloud judgement. Great reminder, Margaret, that buyers do have the choice. I can't tell you how often I've gotten calls from buyers who feel stuck and didn't realize they had a choice and didn't need to live with inadequate representation. Good morning Margaret. Of all jobs the job of looking out for "you" belongs to you! Enjoy your day! Could not have said this better myself. I witness first hand on my listings in this seller's market, exactly the lack of representation happening when these agents actually do get together with their clients to make an offer. They have no clue how to compete in this market and give their buyers terrible advice. I've heard misconceptions as crazy as, "All offers on a property have to get a chance to counter." ?????? Featured in the group: BARTENDER, MAKE IT A DOUBLE. 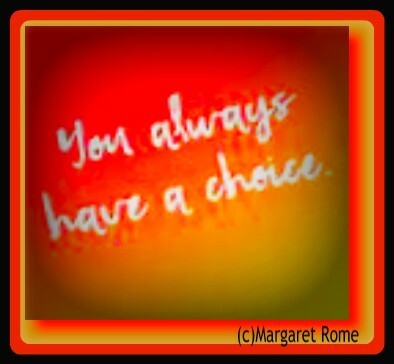 Hello Margaret - choice is a good thing especially when it is exercised. "The buyers are told 'when you find something you like, you call me'. One agent had not gotten back to this buyer for several weeks...not even when, what could have been a perfect house, was listed with this agent's office." That line floored me, Margaret. I remember holding a home open, and a couple came through on their own. Their agent was out boating. They fell in love with the house and wanted to write an offer right then and there. When I tried contacting the agent, she "instructed" me to go ahead an write up the offer, and she would sign it when she made land. "No can do," said I.
I agree with all you say, Margaret... and there is something to be said for being loyal to an agent who deserves it!